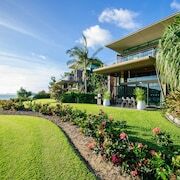 Nestled on the beach, this Daydream Island resort is steps from Daydream Beach, Daydream Port, and Daydream Reef. What sounds good on your next holiday? Soaking up the sun on sandy beaches? Bushwalking through some of Australia’s best national park lands? Or sipping umbrella drinks in between massages and gourmet meal? We know. This one’s a stumper. As long as you make your destination the Whitsundays, you don’t actually have to choose. All you have to do is stick around long enough to experience it all. 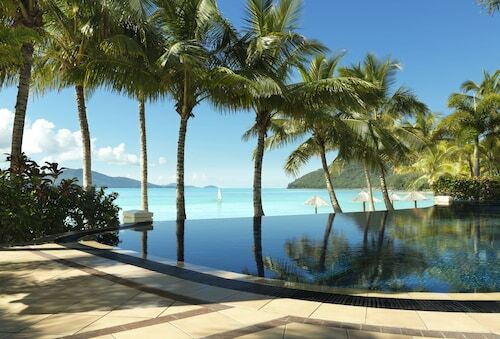 The Whitsundays are made up of 74 awesome islands. That’s 74 islands of swaying palm trees, dive-worthy coral reefs, and clear turquoise waters that are perfect for sailing. Book accommodation in the Whitsundays and pack your entire thong collection. You’ll need them both to fully explore this tropical paradise on holiday. How do I get to the Whitsundays from the airport? The closest international airport to our hotels in the Whitsundays is Cairns (CNS), 500km away. From there, you can take a coach, arrange car hire for a road trip, or hop another flight to Hamilton Island (HTI) or Proserpine (PPP). We can handle all of your flight details and accommodations when you book one of our Whitsundays holiday packages. Easy as sipping umbrella drinks at sunset. Bring your sunnies and a good hat, because once you’re in the islands, the best way to get around is (surprise!) by boat. 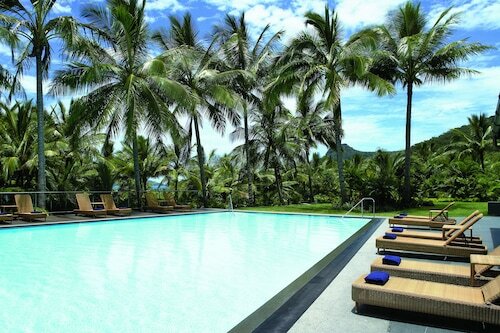 What kind of hotels are in the Whitsundays? Our Whitsundays accommodation caters to all kinds. Well, you know, within reason. Whether you want to splurge on a rainforest bungalow or just have the convenience of a motor motel, we’ve got you covered. Staying awhile? Check out our beachfront apartments and villas. Want to spoil someone special (or just yourself)? Book one of the private island resorts. That’s right. You could rent your own little piece of private island paradise. Or just stay on the mainland and boat over to the islands. Whatever blows your hair back. Get it? 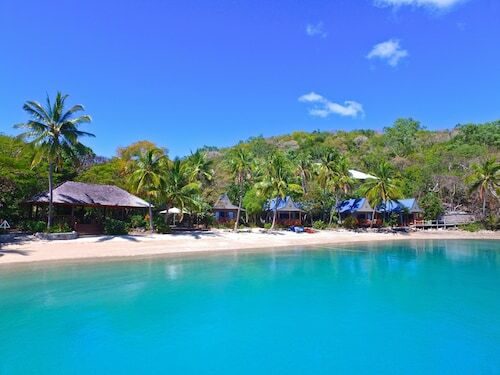 Where should I stay if I’m visiting the Whitsundays? Many of the islands are not open to development. That means you get pure, unadulterated nature and beauty, but it also means you are slightly limited as far as places to stay in the Whitsundays. 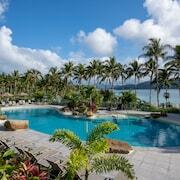 Hamilton Island is the most developed, although a few other islands have lodging on offer as well. And of course, the mainland is just a boat ride away as well. 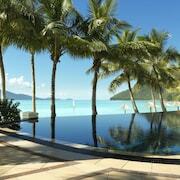 What are some things to do in the Whitsundays? 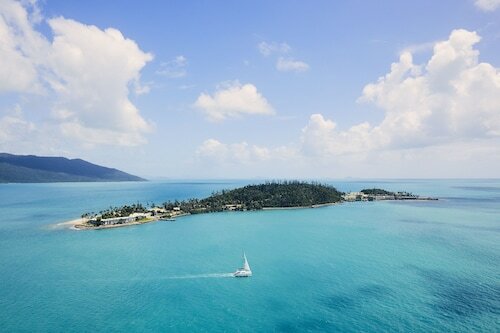 It’s true: The Whitsundays has more islands than you can explore all in one trip. Guess you’ll just have to come back for more, huh? Speaking of more, book Whitsundays hotel deals today and that’s exactly what you’ll get: more savings, more holiday and more money in your pocket to buy more thongs for your collection. Can’t get enough oceanfront national park lands, either? As if that were even possible! Scoot on over to Mount Windsor, Mowbray or Daintree and book Port Douglas accommodation right here on Wotif. Need insider tips on must-see attractions in Whitsunday Islands? Check out our Whitsunday Islands travel guide! How Much is a Hotel Room in Whitsunday Islands? 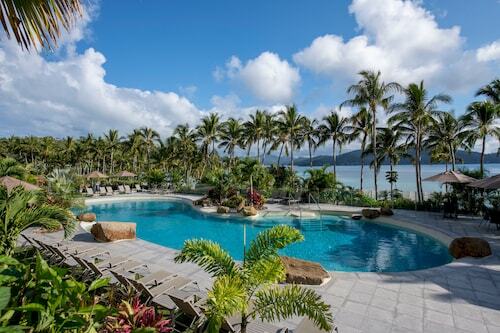 Hotels in Whitsunday Islands start at AU$312 per night. Prices and availability subject to change. Additional terms may apply.